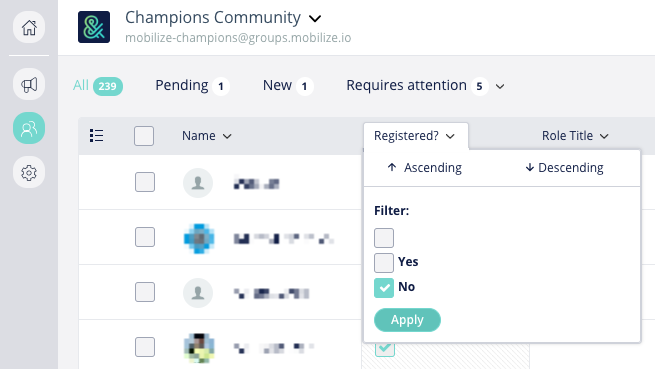 You can filter your Member Database for members who did or did not register for a specific group, and send them an Email Blast. 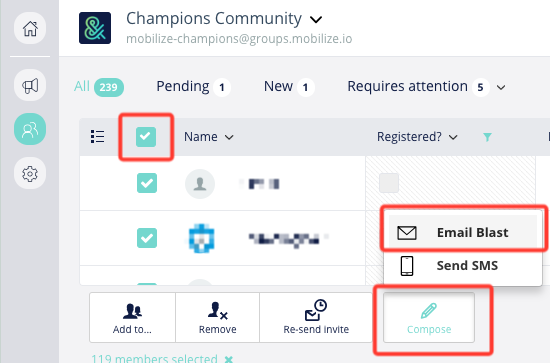 In the Member Database (the people icon in your vertical navigation bar) of the group where you want to contact unregistered members, filter for Registered? = Yes or No and click Apply. 2. Check the box in the top left corner of the search results list to select all who apply. 3. On the bottom of your screen, click the Compose button. 4. In the pop up menu, click Email Blast. 5. You'll now be able to send a private email only to your members in this specific group who have or have not yet registered for this specific group.